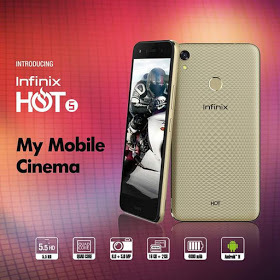 Just about a month after releasing the infinix Smart, Infinix has just added one more devices to their low end Hot series and it's known as the infinix Hot 5. The device is even available in 2 variants which are the infinix Hot 5 and infinix Hot 5 Lite which is the lower version. The infinix Hot 5 is a 5.5-inch smartphone which is powered by MediaTek MT6580 Quad-core processor clocked at 1.3GHz. It also features a 2GB RAM and a 32GB expandable internal storage. The device also comes with a fingerprint scanner and runs on Android 7.1 Nougat straight out of the box. 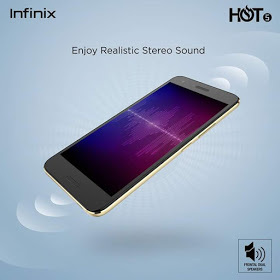 Below is the full specifications and price of the infinix Hot 5.